The Federal Reserve (FED) now has a 100-year history by which it can be judged. On balance, the Fed has not increased economic stability relative to the pre-Fed era. The Great Depression, the great stagflation, and the 2008 financial crisis have all occurred on the Fed’s watch. Even excluding the Great Depression, business cycles have not become appreciably milder, nor have recessions become less frequent or measurably shorter. The Fed has strayed so far from the classic prescription for a lender of last resort—to provide short-term funds to solvent institutions at penalty rates—it strains all reason to suggest that it has successfully fulfilled that function. – Congress should prohibit the Fed from making emergency loans under Section 13 (3) and via the discount window. There is, in fact, no clear economic rationale for the Fed to provide direct loans to private firms, and the discount window is a relic of the Fed’s founding. 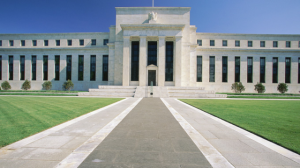 – Update the Federal Reserve’s Primary Dealer System. The current primary dealer framework was created in the 1960s when there were clearer advantages to having a centralized open market system in New York. – Require the Fed to Select a Short-Term, Rules-Based Policy Ending discretionary monetary policy and moving the U.S. toward a truly competitive monetary system is a justifiable long-term goal. In the near term, however, Congress could require the Fed to take a small step toward this outcome. There are many aspects of the Federal Reserve system that are ripe for reform, but even market-oriented economists display disagreement over some of these policy improvements Given the broader agreement that exists on other key reforms, however, Congress could likely achieve several key policy improvements outside of a formal commission. This article has provided something of a roadmap to begin instituting both types of reform to the nation’s monetary policy.